I find the word Whoopie hilarious. One word and so many applications. Whoopie cushion… whoopie pie.. making whoopie… Whoopi Goldberg. Or Whoopi Goldberg is a stretch but still great. So when I decided to make Pumpkin Whoopie Pies in November I was so excited. 1) never had a whoopie pie before 2) first time making whoopie pies 3) Price helped. Price does not normally help me in the kitchen because I’m generally on a mission in the kitchen. Things are always so rushed so making dinner 1 person in the kitchen is easier than 2 bumping in to each other- one day we will coordinate the kitchen dance. At least there are nights when Price watches me cook while sitting on a chair while we chat about the day. 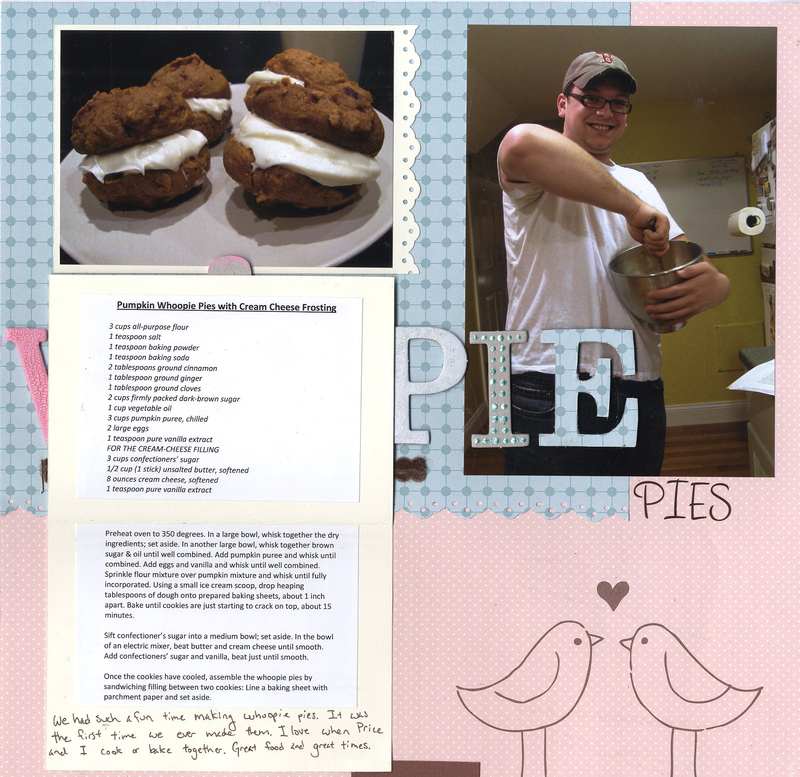 Maybe someone would argue that there is no need to scrapbook about baking Whoopie Pies but I enjoyed the night so much that I had to. 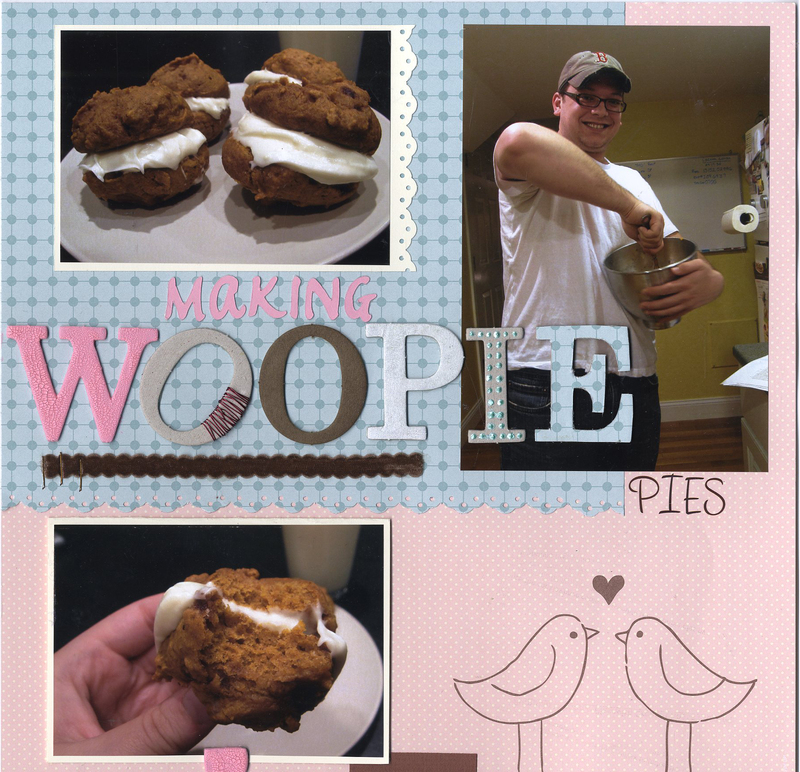 Since I’m a goof about the word whoopie I gave it extra attention and made each chipboard letter different. Plus I really liked the pink polka dot paper from Stampin’ Up! so I had to use that and I basically worked the page around that. Pumpkin Whoopie Pie with Cream Cheese Frosting Recipe is HERE!